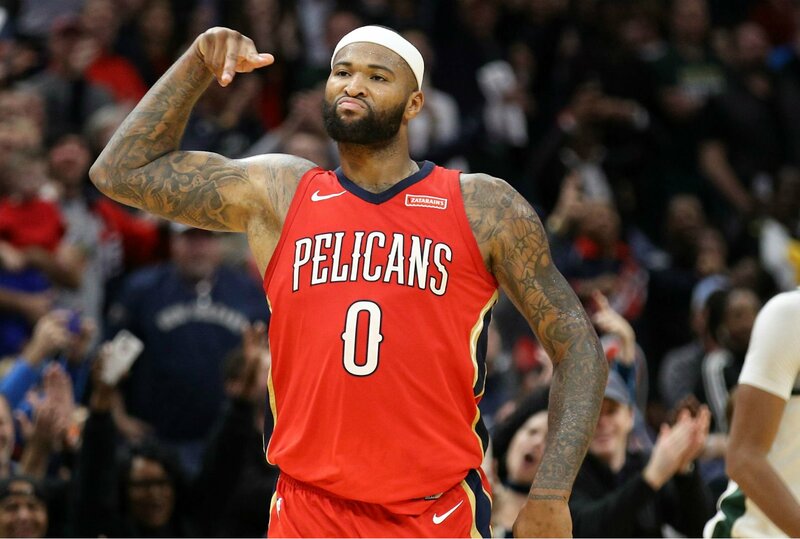 Four-time NBA All-Star DeMarcus Cousins is upstaging the importance of LeBron James’ Decision 3.0 to join the Los Angeles Lakers. On Monday, Cousins announced he was joining Golden State on a one-year, $5.3 million deal. The winners of three of the last four NBA Finals, the Warriors will now start an all-star at every position. PG Steph Curry, SG Klay Thompson, SF Kevin Durant, PF Draymond Green, and C DeMarcus Cousins will become the sixth team in NBA history, but the first since the 1975-76 Boston Celtics, to have a starting lineup consisting of five all-stars from the prior season. With the signing, Las Vegas oddsmakers are even further shortening futures on the Warriors winning their fourth NBA title in five years. With bettors rushing to print tickets on the longest odds possible, the Westgate SuperBook has Golden State at 4/7. 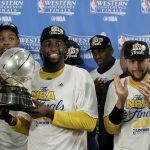 With implied odds of 63.6 percent, a $100 bet and a Warriors title nets just $57.14 next June should they three-peat the Larry O’Brien Trophy. 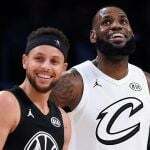 The biggest free agent of the summer was of course James, who announced he was leaving Cleveland on Sunday for the glitz and glamour of Los Angeles. The Lakers, a 100/1 title team without LeBron, saw its line shrunk to 7/2 with the game’s best player joining on a four-year, $153.3 million deal. But with Cousins taking his talents to the Bay Area, the LA Lakers have lengthened slightly to 5/1. Cousins was signed on the cheap, as the all-star is coming off a season-ending Achilles injury. 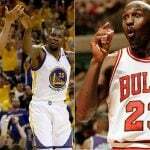 He still averaged 25.2 points, nearly 13 rebounds, and 5.4 assists during 48 games. After the New Orleans Pelicans opted to go with free-agent center Julius Randle, Cousins said he was surprised no teams expressed interest in signing him. Cousins made $18 million last year, but decided to take far less in order to join a championship squad. “I said to Jarinn (his agent), ‘Let’s make a call.’ He was shocked. It was very insulting to not receive an offer,” Cousins told The Undefeated. Cousins’ addition makes the Western Conference that much better, and LeBron’s road to his ninth consecutive NBA Finals that much harder. Cousins’ former teammate in New Orleans, veteran PG Rajon Rondo, joined the Lakers on Monday. The continued stacking of teams in the NBA means only a few (one?) have a realistic chance of winning the championship. After the Warriors at 4/7, the Boston Celtics are next at 9/2. The Lakers 5/1, Houston Rockets (13/2), and Philadelphia 76ers (14/1) round out the top five. The Oklahoma City Thunder and Toronto Raptors, the teams tied for the sixth-shortest odds, are at 60/1. That’s an implied winning chance of 1.64 percent. 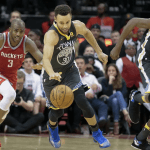 Chris Herring of FiveThirtyEight opined LeBron’s move to the West means the NBA needs to strongly consider overhauling the playoffs to include the top 16 teams in the entire league, not the eight best in the West and East. “The best players – and by definition, best teams – are all in the West. That was already the case before, and now even more so,” Herring concluded.